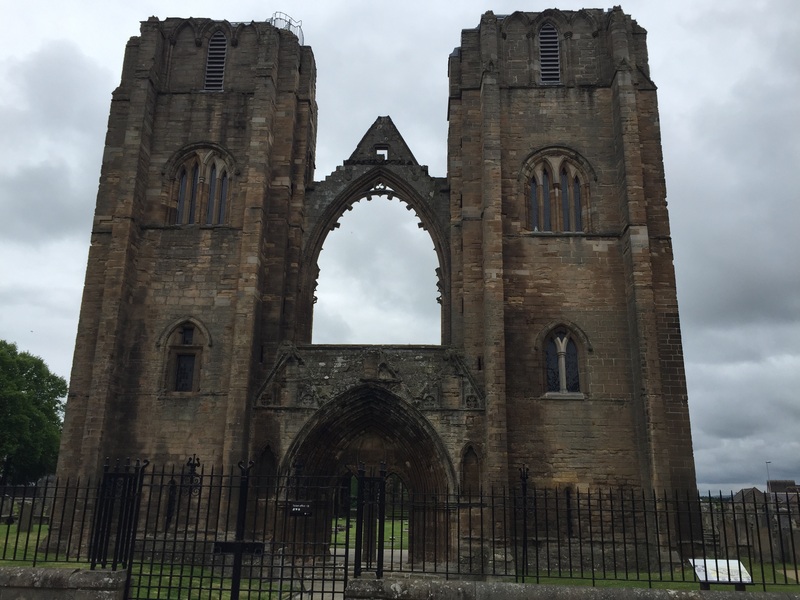 So, day two in Elgin, after a hearty breakfast at our wonderful B&B Moraydale Guest House, back down High Street I travelled. Guess what I found? There it was – 49 High Street Elgin, the house that my Great Great Grandfather, John Ogilvie died prematurely at the age of 32 when my Great Great Grandfather James Ogilvie was 4 and his older brother Alexander was 10 and his two sisters Margaret and Jean were 3 and 1 respectively. How amazing that another of the houses that they lived was still standing, and even more amazing was that I was standing in front of it. I realised this was the time to start the process of leaving my Mum’s DNA in meaningful places. Six months or so before Mum died, her long beautiful “salt and pepper” hair was becoming difficult for her to handle with her failing health. She put it in to two pony tails and cut it and told me that she wanted to find out how she could donate it to those that made wigs for cancer patients. Her health then deteriorated quickly and when she died I knew that her hair was too precious to donate, so I kept it. When this trip to the UK to trace our ancestry became a reality, Bruce suggested that we take some of Mum’s hair with us, for two reasons. So she is close to us physically as we travel to the places she painstakingly researched, and so we could leave some of her hair in the places that we know meant so much to her. This way her DNA would be part of the lands from where her genes had originated. I thought it was a great idea, but as the time to pack came, I took out Mum’s hair and I wasn’t sure I could bring myself to part with it. I faultered. Should I see this through, or should I be selfish and keep it all to myself? I decided to take one of the pony tails with me and to leave one at home, safe. I could then make my mind up when I was there. It could always come home with me, and at least I would be able to have her hair with me on the trip. 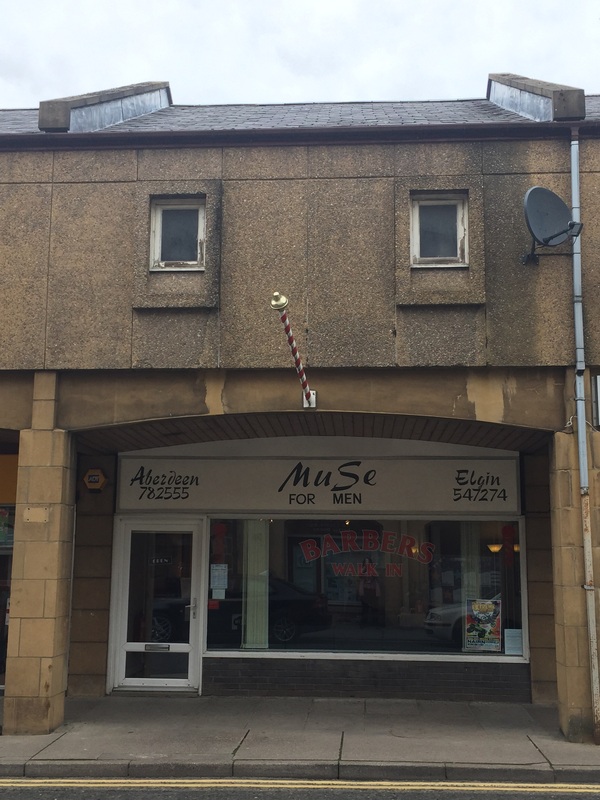 As I stood outside of number 49 High Street, Elgin, I was completely sure about what I needed to do. I gently removed the zip lock bag that hat been tucked in the “bum bag” around my waist every moment of every day, and I took out five or six strands of long, beautiful grey hair and with tears on my cheeks, I dropped it on the ground. Right outside the house where her Great Great Grandfather had died almost 60 years ago, my Mum’s hair and the DNA that it contained were left. At the end of the row of houses, there was a little garden, and I left more hair in and around the trees. The memorial in the middle of High Street, more hair left in the garden. The more strands of hair I left, the more I felt like I was doing the right thing and I knew that Mum must be pleased. I walked to the end of High Street, returned the remaining precious hair to my bum bag and entered the Births Deaths and Marriages office to see if there was anything further I could uncover about John’s death. 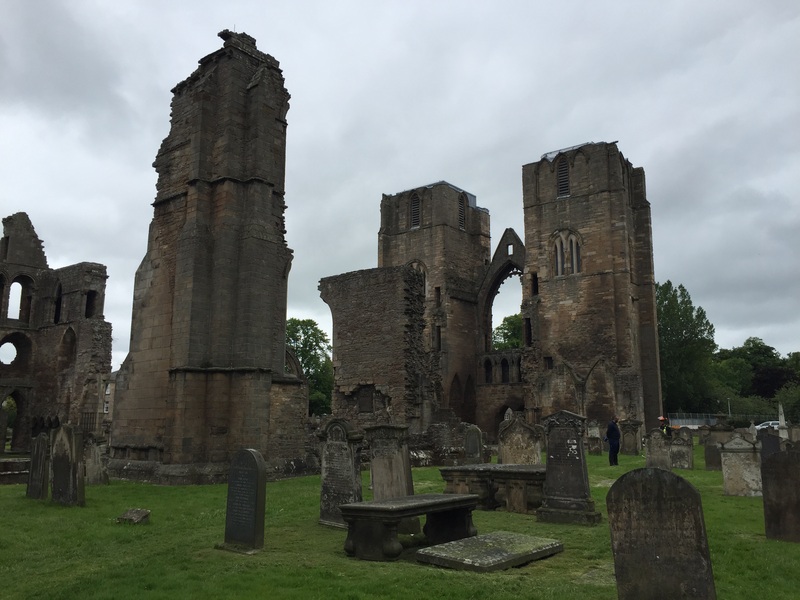 Why did he die so young and where exactly in Elgin Cathedral Cemetary is he buried? Alas, nothing further was to be uncovered. 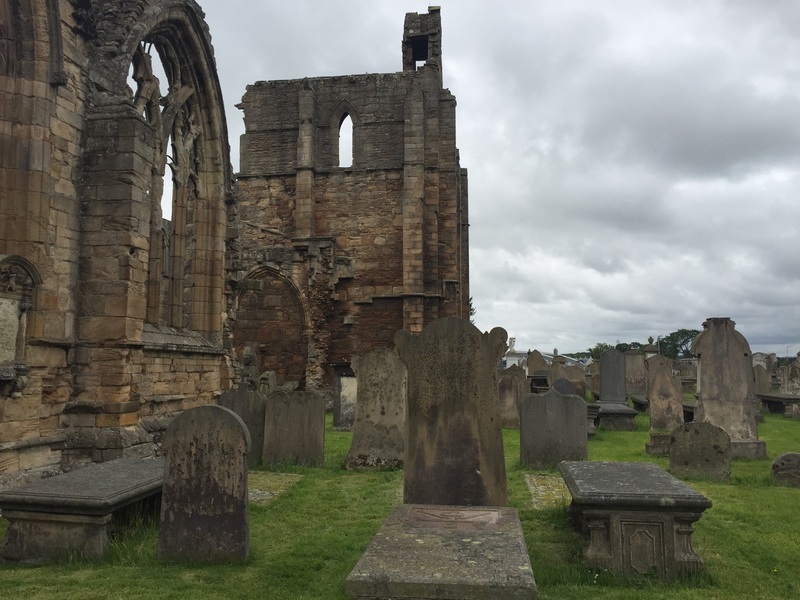 I had the register of his death, which the woman gave me a hard copy of (once I told her it was on Scotland’s people and gave her the exact spelling of his surname on the register – Ogilvy) but she could give me nothing further. She told me to go to the Heritage Centre, who I rang and they found John and told me they had nothing further about his death, but there was applications for poor relief and police complaints that I could view, but only after 10am. 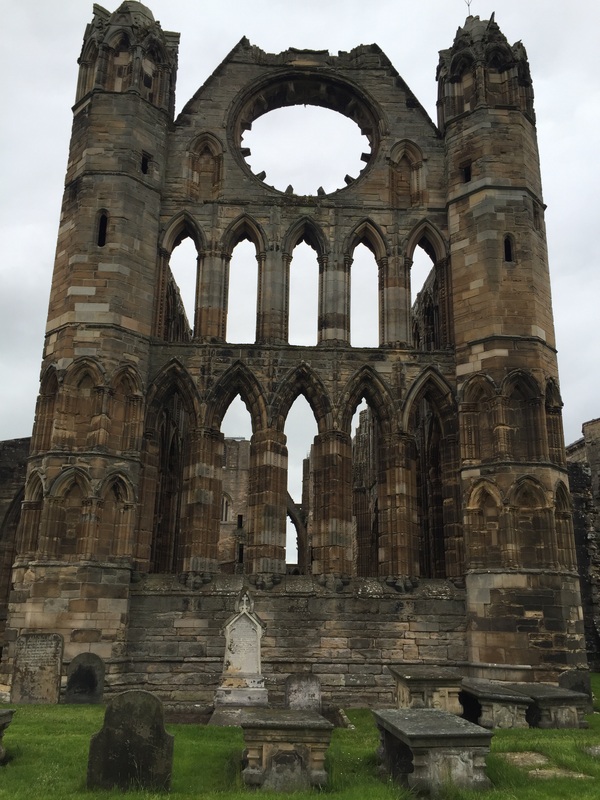 It was unlikely that I would have time – we were going to visit Elgin Cathedral and had a train to catch at 11.40. 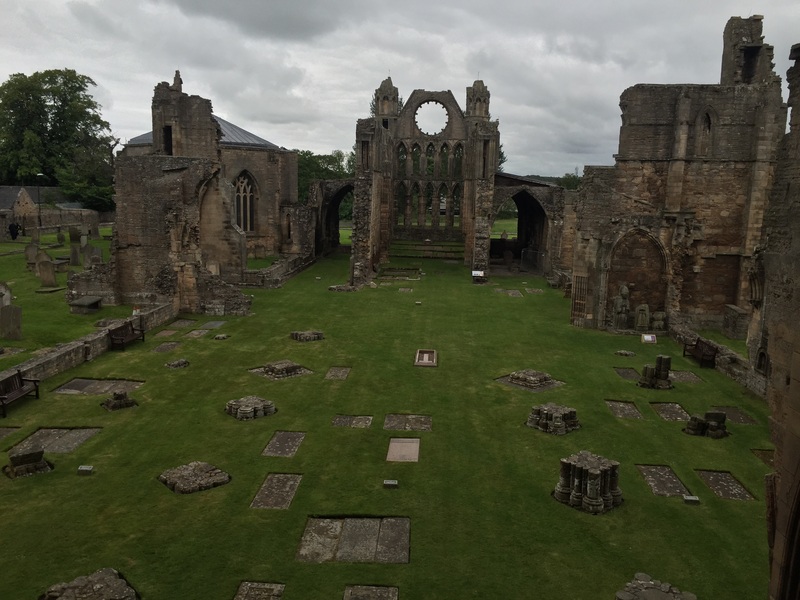 What I did know was that he was buried at Elgin Cathedral and the woman at the Cathedral confirmed that his name is not on the index of headstones, which most likely means that there was no headstone – they may not have been able to afford it. This makes sense to me. Christina was widowed at the age of 31 with four kids under 10. How could she possibly have been able to afford a headstone when the bread winner died most likely with no warning and they had already been applying for poor relief before his death? 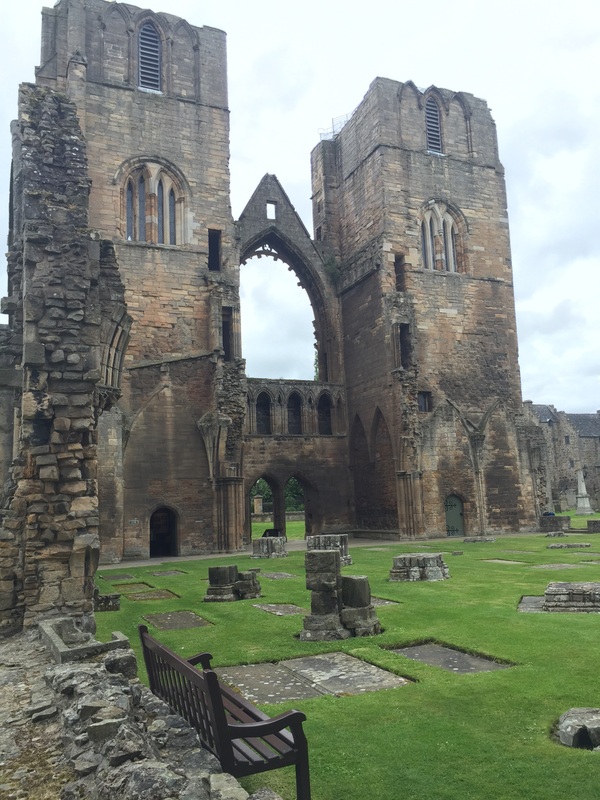 What I did find out is that Elgin Cathedral is absolutely breathtaking. Headstone or no headstone, what a place to be buried! We climbed the tower and once again I removed the precious hair from it’s safe place. This time I shared the experience and my 10 year old son Jay and my Husband Bruce both joined me in scattering Mum’s hair to the wind, high above Elgin. This time there were no tears, just a sense of accomplishment and purpose. We all felt the importance of what we were doing. I then walked among the cemetary and scattered Mum’s hair over the ground. Now Mum’s DNA is where John’s DNA is. 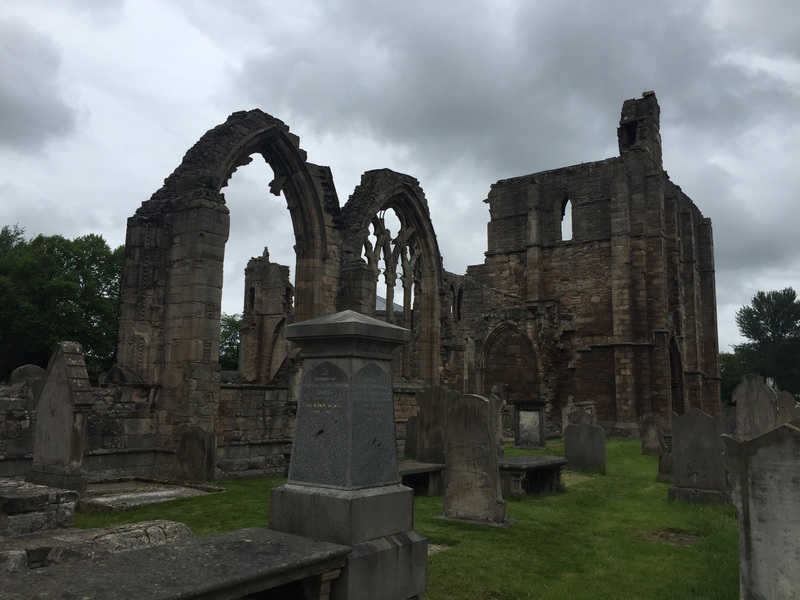 We hurried off to catch our train to Edinburgh and my only regret is that I didn’t have another night in Elgin to take in more of this beautiful place and get to the Heritage Centre. I guess I’ll just have to come back. My mind was completely blown.